Vinyl - Record Collection App. The best app for record collectors. Vinyl is the perfect companion to a record collection. 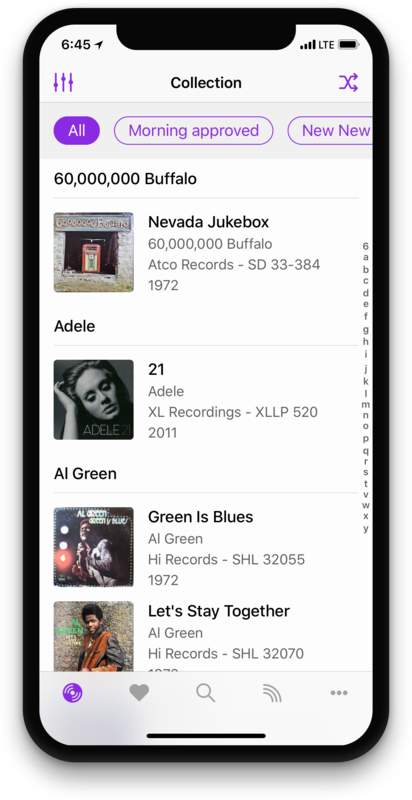 Within the app you can store records you currently have in your collection, keep track of records you're just dying to own, and get information on records - tracklist, labels, release date. Keep track of all the records you want to buy. Next time you're in a record store pop open this tab and make sure you don't forget anything. 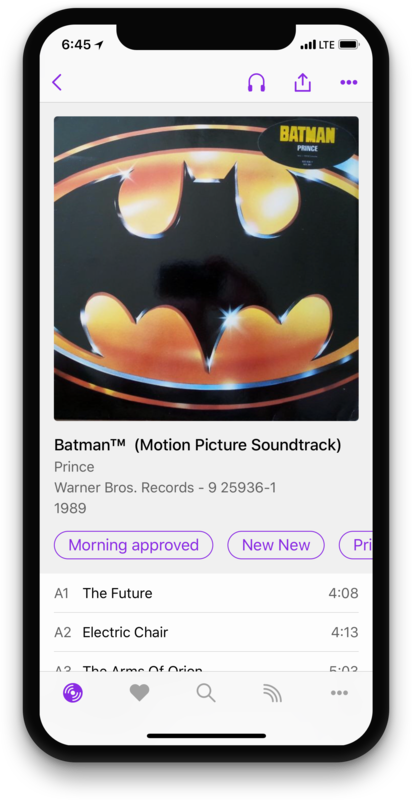 When you do finally buy a record on your wantlist, tap into the record and use the record icon in the top right to transfer it to your collection. Stay up to date with all the records that your friends buy. Search for your friends by username and then tap the plus button to add them to your feed. Their little icon is the album cover for last record they added to their collection.